T’OPPO the early afternoon, Oppo! 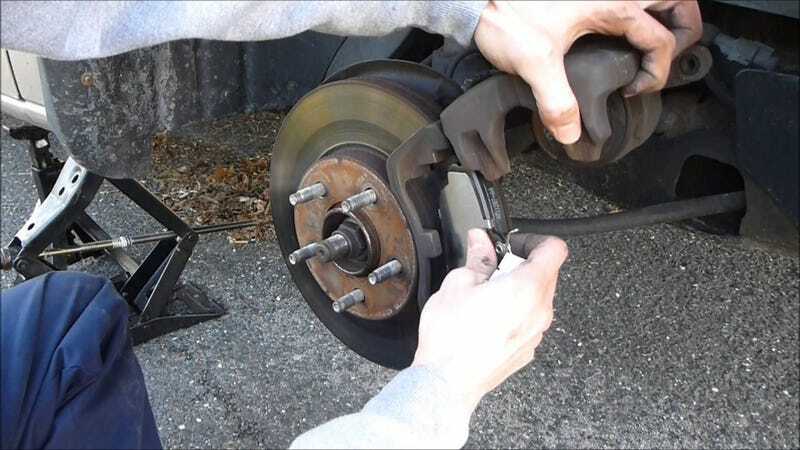 It’s getting to be that time — time to change out the brakes on my Fiesta. I’m still on stock equipment and lately they’ve been feeling kinda slushy, so I figured might as well use part of my tax return to get ‘er done, so to speak. Your advice in the matter would be greatly appreciated. Now, I dunno if the rotors/drums need replacing, too, since I haven’t actually taken a gander yet. But for sure the car needs new pads up front, and new shoes in the back. I’m also due for a wheel alignment (thanks, potholes!) so I’m gonna have the shop check while they’re doing that, but I wanna DIY the brakes. What are some economically priced pads and shoes that will still have a decent lifespan and offer decent performance? Recommendations on rotors and drums welcome, too, but I really don’t think they’ll need replacing just yet. Specs: 2013 Ford Fiesta sedan, base equipment. And I live in a very warm hot, very humid climate (yay, Texas! ).